Lee Kearney Is the founder of the 5030 real estate investor program and the owner of Spin Real Estate. 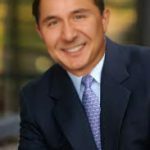 He is one of the fastest-growing real estate brokers in the Tampa area and is well known for his transparency in the industry. He has built a blueprint of flipping 50 homes every month and claims he can help experienced investors scale up their business using his strategies. His goal is to help investors reach a level of hands-off freedom in their business if they choose. Lee went to Florida College in 1996 for an associate of Arts degree and then immediately went after his BA from the University of South Florida finishing in 2001. The following year he pursued his MBA at USF completing it in 2005. His team approached him with ideas of putting a program together to help other investors duplicate his formula of success. Lee claims he was reluctant at first until he realized. The idea was to show every aspect of his concepts openly for the experienced investor. This program would teach them to scale their business and get out of the daily hands-on requirements most investors struggle to delegate. Lee has been able to successfully flip on average 50 homes a month for many years now with only a small team. His 5030 system seems popular with many people despite a lot of initial skepticism from everyone who provides a testimonial. He claims to close over $100 million in property sales each year. Lee offers an invitations to other investors to join his program if they qualify. It appears he isn’t interested in just anyone, which is encouraging to see. Many gurus will take anyone’s money. Lee appears to be very open about his income reports and revealing his actual process. He claims to include a template style system where you can work and interact with him personally. His site has an intake form to submit information before you can sign up to his program. This tells me he isn’t looking to just sell you and leave you hanging. Lee appears to be accessible where a lot of people offering programs are difficult to reach. For example, he is also a registered realtor and has a profile on LinkedIn to where it’s possible to reach out to him. Lee claims his system will work anywhere and in most countries. It doesn’t appear there is much information regarding the cost associated with the program. I do understand cost is irrelevant if you’re going to make money but it is nice to know a general idea whats involved. Even arrange could be helpful. In his terms of service Lee clearly indicates there are no refunds for digital products or training. On the other hand, they do state if you’re not serious and do not plan on implementing the strategies, then do not sign up. If Lee is that firm on a no-refund policy, then it’s to his advantage to at least provide more testimonials. I could only find a handful. I also could not find much that was negative online, which seems unusual for somebody with that level of success. Overall I think this is a good program if you are serious and plan on implementing the strategies. His compassion for people reminds me of Sean Terry. I would encourage you to do your homework before see if it is a good fit for you and your business. Mainly to see if you’re up fit with Lee and his team. It’s critical to connect with someone who’s going to Mentor you. Ernest Gerberich is an ambitious Real Estate Investor whose goal has always been to help people. With the support of many communities, Ernest combines his success in the luxury real estate market with his mission of philanthropy.